Wild Lebanese thyme, Sumac, toasted sesame seeds, roasted chickpeas, salt. Maroun Chedid's personal blend of the famous Lebanese seasoning. 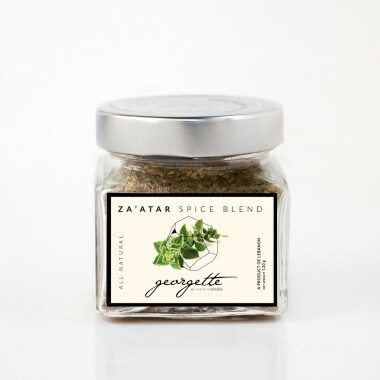 Great with olive oil, labneh, yogurt, hummus, vegetables, meat and salad dressing. Mix with minced gralic and olive oil for meat marinades.